Darlene Harris is making moves to go from city councilwoman to the Democratic nominee for mayor of Pittsburgh. Although she has not launched an official campaign, Harris notified the Allegheny County Democratic Committee that she will seek its endorsement in the primary May 16. In years past, winning the primary has decided the November election. Current Mayor Bill Peduto and Rev. John Welch, a Homewood resident and dean at the Pittsburgh Theological Seminary, also seek the endorsement. The person who gets the party’s endorsement will get the support of other leaders in the party as well as a slate card to hand out at polling stations. But candidates are still allowed to run without a party’s nomination and support. Harris and Peduto faced off briefly for the mayoral seat in 2013 before she dropped out. The two have duked it out in a different sense — in January 2017, after his chief of staff made calls on behalf of Peduto seeking political donations from developers, she called for an ethics investigation into Peduto’s fundraising activities. The only problem Harris faces right now is a financial one — there’s a $10,000 filing fee for endorsement in the mayoral race. Although her political committee had $25,903 as of the end of 2016, city election rules state that mayoral candidates must create a separate committee when running for office. Harris can only transfer $5,000 from her current committee to the new mayoral one. 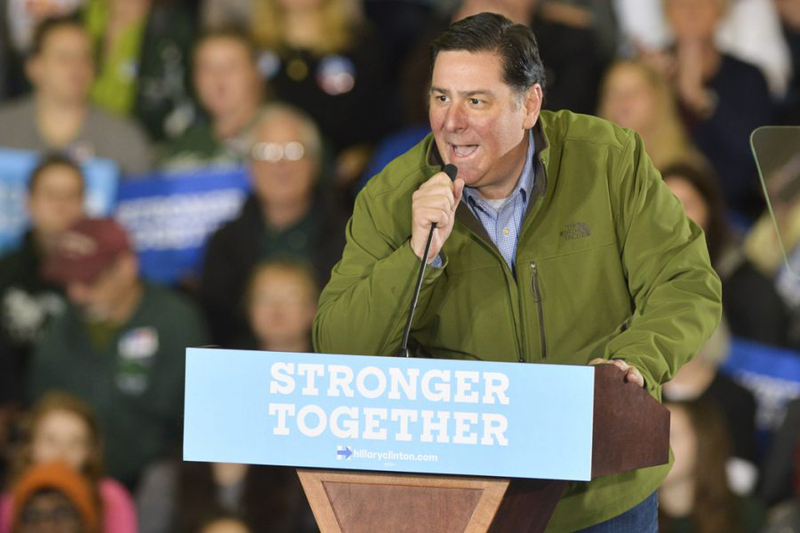 Peduto’s financial reports show that he finished 2016 with $836,691.70, while Welch has not yet filed his. Party leaders will make their selections at the International Brotherhood of Electrical Workers Local No. 5 hall in the South Side March 5.